That legendary KICKER sound is now made to rock from a backyard deck, under the eaves, or near the pool. And it still provides great sound on a boat, off-road vehicle or RV. 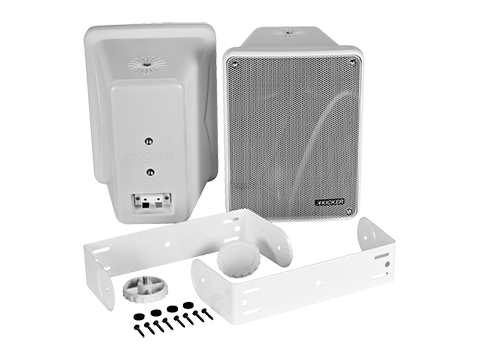 The KB6000 is now a full-range, high-efficiency speaker system truly suitable for indoor and outdoor use, providing an 8-Ohm load and ready to be driven by home stereo receivers. 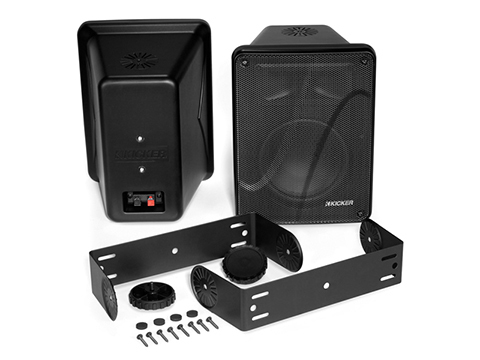 That legendary KICKER sound is now made to rock from a backyard deck, under the eaves, or near the pool, and it still provides great sound on a boat, off-road vehicle or RV. 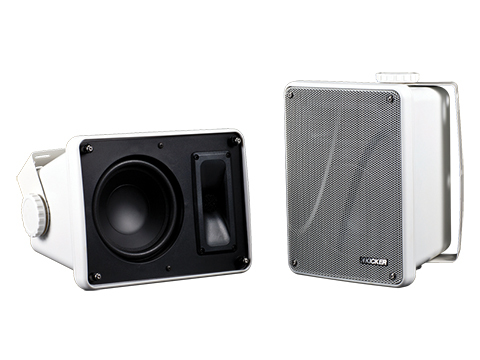 Dual-enclosure system features bold 6-1/2 -inch KICKER woofers and 2 x 5-inch, compression-loaded horn tweeters firing a favorite music mix. 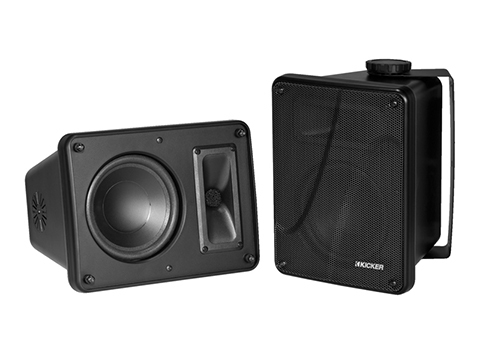 The woofers utilize precisely tuned polypropylene cones and rugged Santoprene® surrounds. 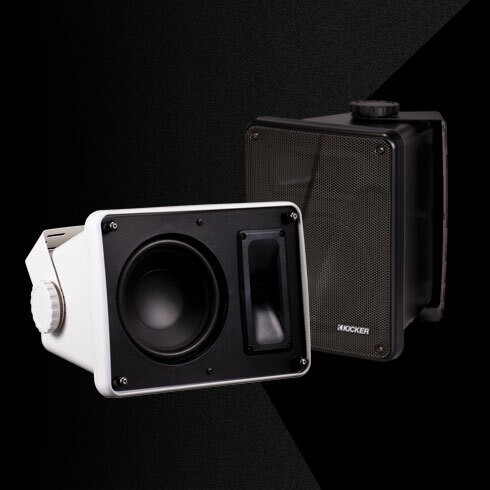 The system acoustically blends with a 12dB/octave low-pass crossover with impedance compensation to nail that signature sound.